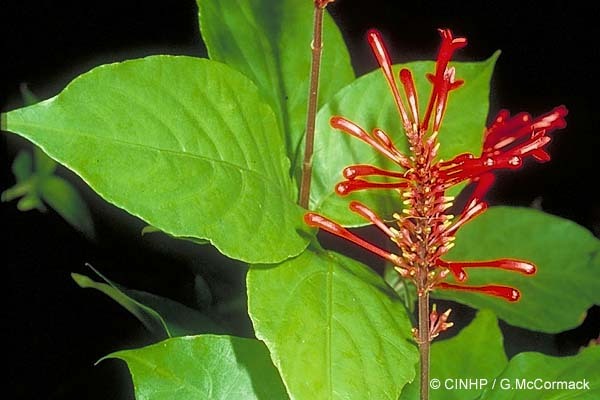 KEY FEATURES: Upright shrub to 2m with terminal spikes of radiating crimson flowers. LEAVES opposite, oval, glossy, 20x10cm; petiole 2cm. FLOWERS radiate along terminal spike; calyx crimson; corolla 30m long, crimson, waxy, 2-lipped; lobes 5mm.